Are you afraid to go out because of your frizzy hair make you look ugly? Frizzy hair is such a headache because it’s irritating to see your hair go beautifully to ugly in just 3 minutes. Till your hair is wet they look beautiful but once you dry them then they become frizzy and ugly. Normally this is not a big problem and you don’t have to worry a lot or spend a lot of money. You just need to pay attention to your hair and causes of frizzy hair. There many natural ingredients available in the kitchen which help you to get rid of frizzy hair quickly. 1 What is Frizzy Hair? 2.11 How to Prevent Frizzy Hairs? Hairs are made up of thousands of cells, protein and 3 layers. But frizzy hairs occur when the outer layer of your hair known as cuticle layer is raised and let moisture to pass through and swell the strands. This makes your hairs looks dry and frizzy. If you have curly hair then chances of getting frizzy hair increase as compared to the one with straight hairs. This hair condition occurs mainly because of dehydration but other factors may affect your hairs which include. Lack of water in your body. Not oiling your hair properly can cause frizzy hair. Shampoo can dry your hairs. Use of bleach can also damage the outer layer of your hair. 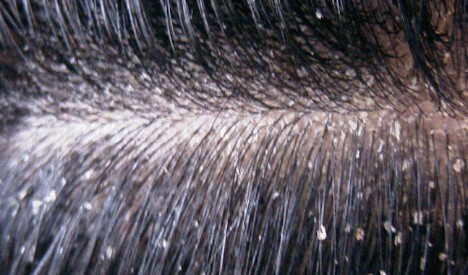 Many people suffer from frizzy hair on a daily basis and others occasionally. And using over the counter hair products can make this problem even worse. So, you can use simple natural home remedies to get rid of frizzy hair. If your hair looks like electrocuted and make you feel bad about yourself then vinegar is one of the best remedies to solve your hair problems. Apple cider vinegar is used to cure many health related problem such as obesity, diabetes, constipation, piles and even used to get fair skin. But it also works wonder on your frizzy hairs. It is a very simple remedy, you just need to mix one tablespoon of apple cider vinegar in a cup of water. Now, massage your hairs and scalp with this mixture for 5 minutes. Leave it for another 5 minutes and then wash it off with normal water. This remedy will help to treat your frizzy naturally and also remove dandruff. If you are looking for an immediate remedy to get rid of frizzy hair in 5 minutes then massage your hairs with coconut oil. It will nourish your hairs and make them silky and moist. Using coconut oil also prevent hair loss after pregnancy. Take a teaspoon of coconut oil and mix in your daily shampoo (one or two teaspoons as per your hairs requirement). Now, your hair with this mixture, massage your hairs so it reaches to each and every hair on your scalp. Leave it for 2 minutes then wash it off with water. This remedy will give you an immediate result. You can also massage your hairs with warm coconut oil for 20-30 minutes to get better results. Take warm oil so that it can reach to the root of your hairs easily and make them silky and smooth. Once you did with massage then wash your hairs with shampoo and use conditioner. It is better if you use herbal shampoo and conditioner. Beer is a very effective home remedy for frizzy hair. It keeps your hair moist and shining. Try to use dark beer to get a fast result. You need to wash your hair before you use beer on your hairs. Take on a cup of beer and apply it on your scalp and hairs thoroughly. Leave it for 2-3 minutes. Then again wash your hairs with water. Use this remedy at night so you don’t have to go out with beer smell in your hairs. Alternatively, you can prepare a mixture of one teaspoon of each shampoo, beer and conditioner. Mix them well and apply this mixture on your hairs thoroughly. Leave it for 4-5 minutes. Then wash your hairs with normal water. For better result try this remedy twice in a week. A mixture of yogurt, banana, honey, and olive is a wonderful home remedy to tame frizzy hairs. This contains many essential nutrients and potassium which help to stop frizzy hair and improve the overall health of hairs. It also moist your hair make them look smooth and silky. To prepare this remedy you need one ripe banana, two teaspoons of honey, 2 teaspoons of an olive and ½ cup of yogurt. Mix all of them well and apply this mixture on your head. Leave it for at least 30 minutes. Then wash your hair with water and daily shampoo. Use this remedy once in a week to get rid of frizzy hair permanently. Another wonderful home remedy to get rid of frizzy hair at home. Coconut milk is a very good moisturizer and contains plenty of nutrients like vitamins E, B1, B3, B5, B6, and C, iron, calcium, phosphorus, and magnesium etc. Take 4 tablespoons of coconut oil and add 4-5 drops lemon juice in it. Mix them well and massage your hairs with this mixture for 2 minutes. Leave it for 20 minutes or you can also use it for overnight. Then wash your hair with water. Use this remedy twice in a week to protect your hair permanently. Yes, you read it right that breast milk can actually help to get rid of frizzy hairs. It contains a good amount of protein which helps in nourishing your hairs and maintaining a good level of moisture. Take 4-5 tablespoons of breast milk or according to your hairs quantity. Now massage your frizzy hairs for 5 minutes and let it stay for 20 minutes. Then wash your hairs with water and shampoo. Use this remedy twice in a week to prevent frizzy hairs. Almond is a very good hair moisturizer which acts as a natural hair conditioner. An egg is the good source of protein which helps to improve the overall health of hairs. This remedy also helps you to get thicker hairs. Take ¼ cup of almond oil and one egg. Now, mix them well until it turns into a thick paste. Apply this paste on your hairs and scalp thoroughly. Leave it for 30 minutes and then wash your hairs with water and shampoo. Use this remedy once in a week to have frizzy free hairs. Another very effective home remedy to tame frizzy hairs. Avocado is the rich source of vitamins B and E which nourish your hairs and keep them moist. Where yogurt act as a natural hair conditioner. Take one ripe avocado and remove the pit. Mix it with yogurt and make a thick paste. Apply this paste on your hairs and scalp thoroughly. Leave it for 30 minutes and then wash it off with water and shampoo. Use this remedy once in a week for a better result. Mayonnaise act as a natural hair moisturizing and improve your hair quality. It keeps your hair moist for a longer time and helps in tame frizzy hairs. To prepare this remedy you need ¼ cup of mayonnaise, 1/3 cup of almond oil and you can add one egg. Mix them well to make a paste and apply on your hairs. Leave it for 30 minutes and then wash it off with shampoo. 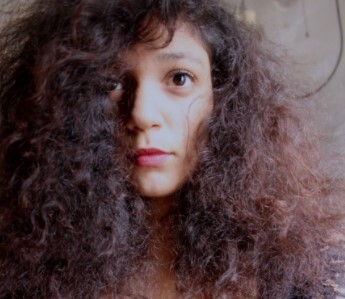 You can use this remedy twice in a week to stay away from frizzy hairs forever. Honey contains antioxidant and antibacterial properties which help in improving hairs quality. Lemon is a good source of vitamin C which helps to improve hair growth and keep them moist. This remedy also helps to stop hair fall naturally. To make this remedy you need one cup of water, 2 tablespoons of honey, and 2 tablespoons of lemon juice. Mix them well and massage your hairs with this mixture for 10 minutes. Then wash your hairs with water and shampoo. Make sure you apply this remedy after washing your hairs. How to Prevent Frizzy Hairs? Do not use shampoo which contains sulfate. Use the right kind brush. Do not use too much heat dryer. Protect your hairs from dust and pollution. Hairs are very important to enhance one’s look and personality. Everyone desire to have beautiful hairs. But nowadays due to the environment and using the hair product with lots of chemicals can damage your hair. You might have frizzy hair which makes you look ugly. There are very simple methods which you can use to get rid of frizzy hairs overnight. Always try to go for natural and herbal when it comes to hairs treatment. Leave your comment and feedback.